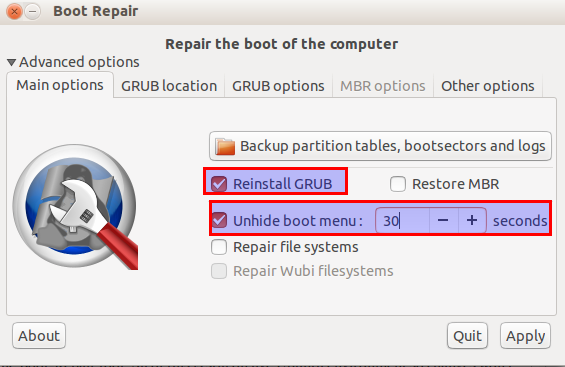 In a dual boot system with Windows and Ubuntu , it may happen that once Windows is reinstalled, the Ubuntu loader (Grub) which gives a choice to select between Ubuntu and Windows at startup will no longer be available and the system will directly boot to Windows. This is because Windows boot loader will replace Grub and so existing Ubuntu install will no longer be accessible. 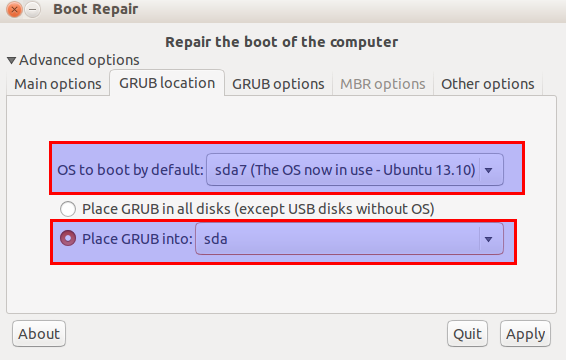 To restore Ubuntu, grub needs to be repaired. Fortunately, it is a simple fix due to an excellent tool “Boot Repair”. First, using the live Ubuntu bootable CD/DVD or USB, access Ubuntu desktop. 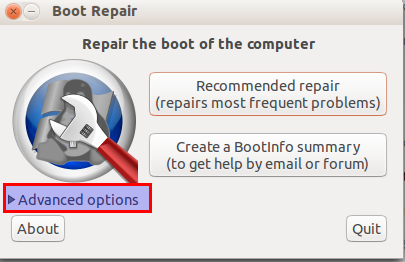 This desktop would be the live Ubuntu environment and not that of the installed Ubuntu system.This is fine as all that needs to be done is install this Boot Repair tool and run it to fix Grub. This will add the required packages and proceed with the installation. All of this is still on live Ubuntu environment so changes won’t be saved but that isn’t important here. Just running this tool to fix Grub is what is required. Once done, hit “Apply'” to save these changes and repair Grub. After that restart the system. Voila! The Ubuntu loader will now again be visible and dual boot between Ubuntu and Windows will work just like before.